Recharge your resume and gain in-demand skills this summer at IEEEx.org, IEEE’s Massive Open Online Course (MOOC) portal on the edX platform. Learn why smart grids are key to modernizing the current electrical system to optimize the conservation and delivery of power with the new free course, “Smart Grids: Electricity for the Future,” starting on 29 June. Check out “Enterprise Architecture and Essentials of The Open Group Architecture Framework (TOGAF® 9.1),” starting 14 July, to discover how to improve IT infrastructure and business efficiency using architectural framework. 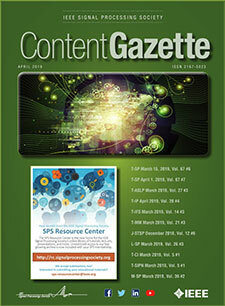 The latest issue of the IEEE Standards Education eMagazine is now available. The theme of this issue is Wireless Power Transfer (WPT) standards. Articles address current activities, challenges, and opportunities related to WPT standards from a global perspective, and authors discuss the primary standards in development and offer considerations on standards for use in designing wireless charging systems. The latest issue of THE BRIDGE, IEEE-Eta Kappa Nu's signature publication, is now available. This issue's theme is "Cybersecurity" and includes feature articles such as Cyber-Physical Security Assessment (CyPSA) for Electric Power Systems, Security Analytics: Essential Data Analytics Knowledge for Cybersecurity Professionals and Students, A Brief Review of Security in Emerging Programming Networks, and much more.